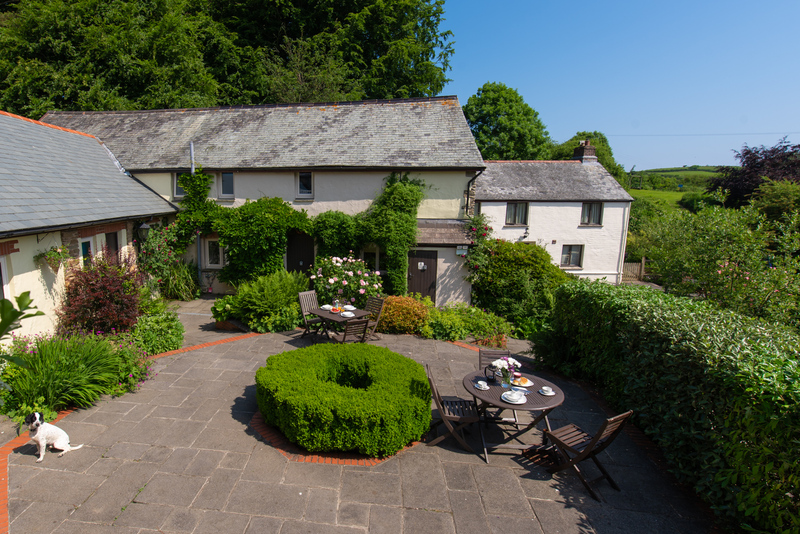 Nestled in the North Devon countryside, just outside of Combe Martin are a collection of 10 beautifully renovated family and dog friendly* cottages sleeping from 2-14 guests. *Please note The Linhay and Upper Mill are unable to accept dogs. A wonderful 5 bedroom spacious property that has been recently renovated to offer fabulous accommodation for those looking to holiday with the whole family or with groups of friends. 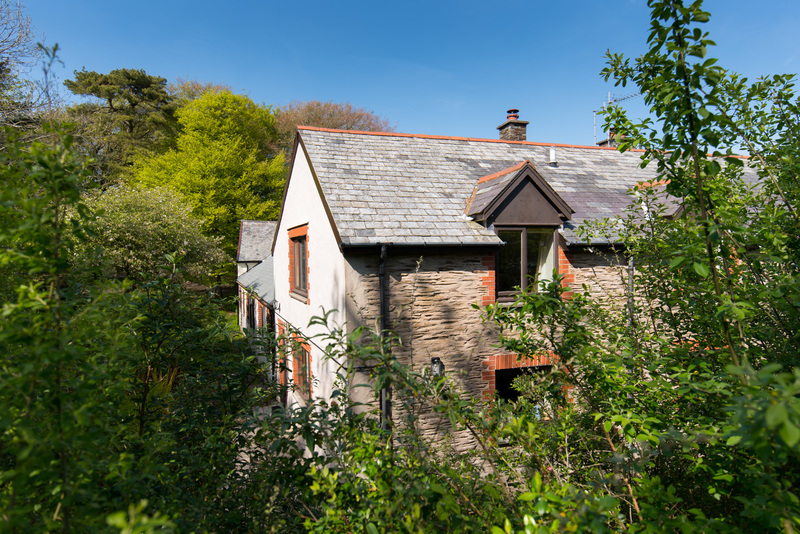 The Barn is a spacious, family and dog friendly holiday cottage comfortably sleeping up 12-14 in six bedrooms. 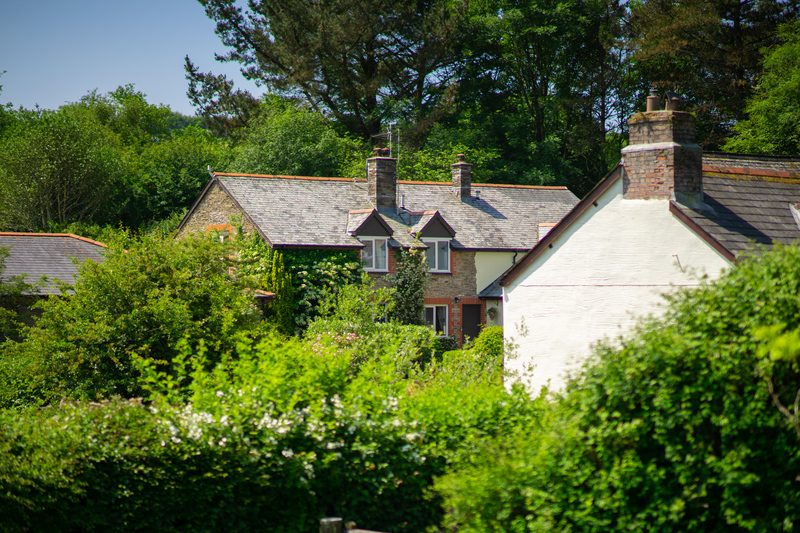 The cottage offers its guests a quiet base for exploring North Devon's beaches and Exmoor. 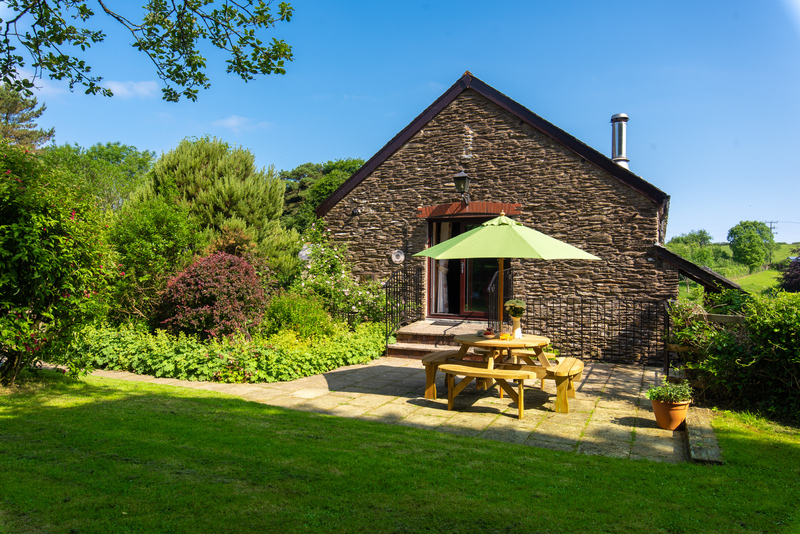 A beautiful two-storey family friendly cottage, with its main bedroom enjoying lovely views over the glorious Devon countryside. A three- bedroom ‘upside down’ cottage, renovated from the old water mill to make the most of its countryside views. 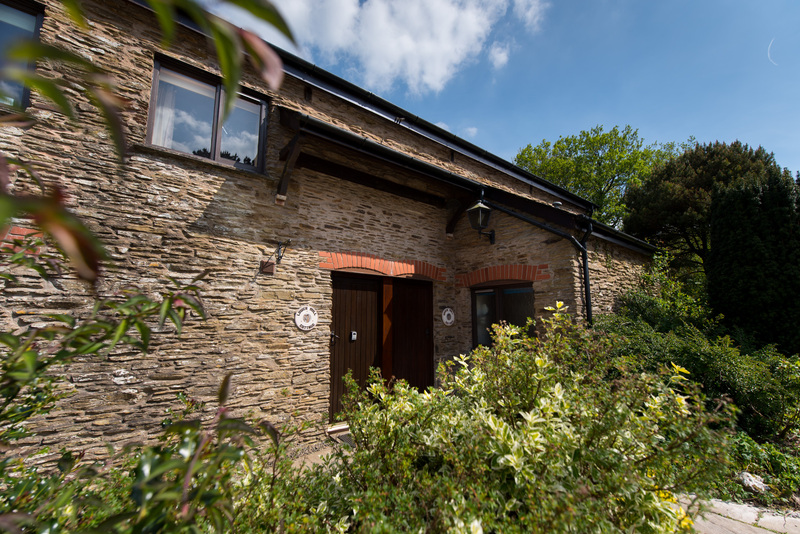 Tucked away behind the main central courtyard, Shippen Cottage is a fantastic pet friendly cottage, perfect for families looking to bring their pets. 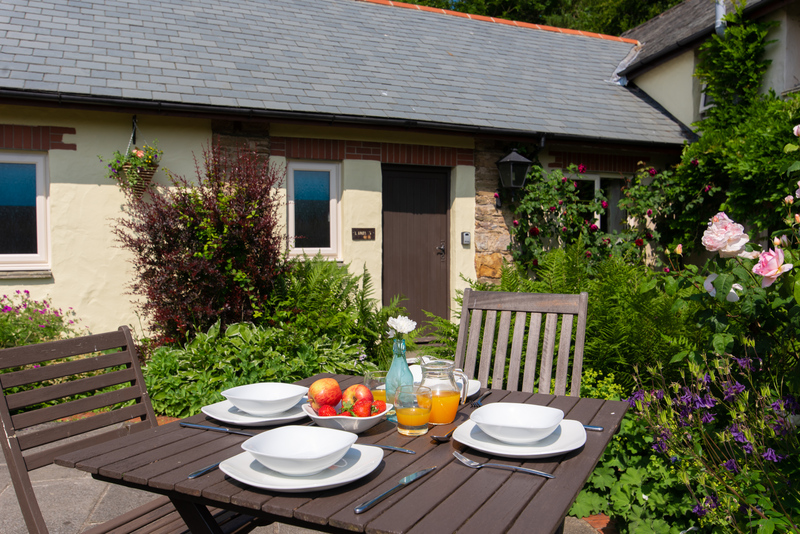 Dairy Cottage is a cosy pet friendly two-bedroom cottage, ideal for couples and families looking for a peaceful countryside break but with plenty to do and see nearby. In the main courtyard, this single-storey cottage comfortably sleeps 4 in two bedrooms providing families with a delightful mix of original features and traditional furnishings. Renovated from the original farm watermill, this one bedroom first floor cottage provides couples with plenty of charm and stunning countryside views. This charming one bedroom ground floor cottage of the old water mill overlooks the ponds, gardens and rolling countryside beyond. An ideal countryside retreat for two. 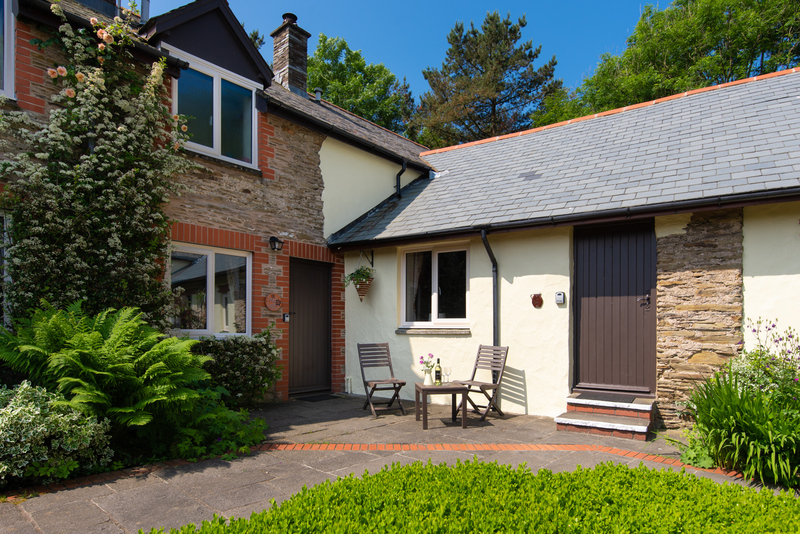 A fantastic pet friendly cottage, great for couples looking for a countryside escape or a romantic getaway, where your four-legged friends can come too. 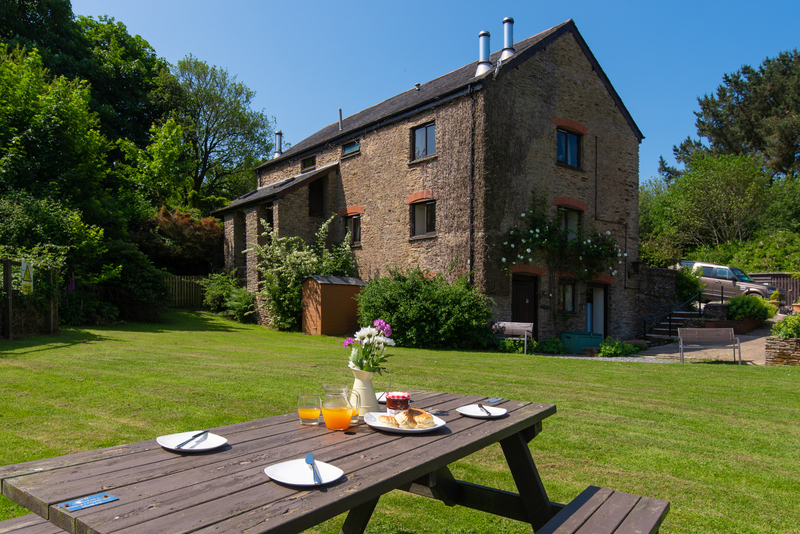 Wheel Farm is a wonderful hidden gem, which has a great range of onsite communal facilities, which all guests are welcome to take advantage of. These include a heated indoor swimming pool and sauna, an outdoor tennis court, a children’s play area, and seven acres of extensive grounds featuring landscaped gardens, woodlands, two ponds and a separate dog walking and exercise field. Also, available is a communal laundry area with a washing machine and two tumble dryers. Everyone at Wheel Farm can enjoy the indoor heated swimming pool and sauna, no matter what the weather. There are seven acres of grounds to explore, including shared lawns, woodlands and a dog walking field. The all-weather tennis court is available to all guests staying onsite. Racquets and balls are also available. The children’s play area is a guaranteed hit, with a large slide and climbing frame for the little ones to discover. 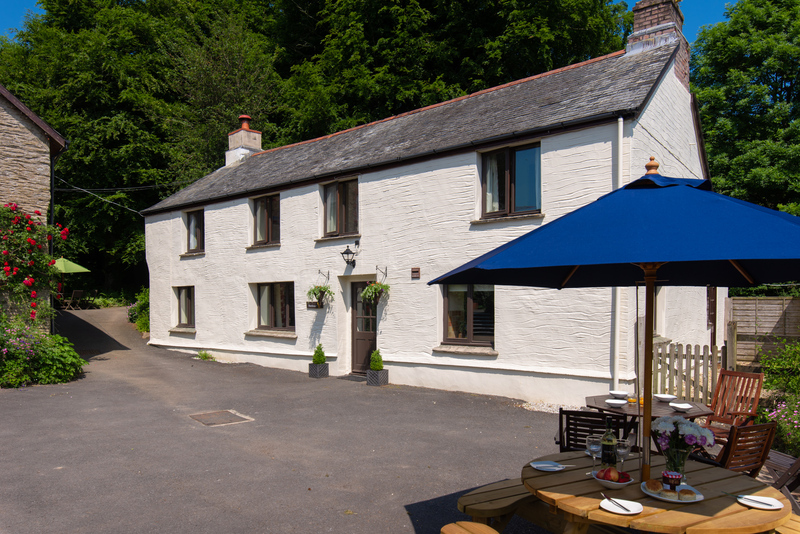 Wheel Farm is located just a few miles from Combe Martin, one of the country’s smallest towns. With its own pretty beach and selection of shops, pubs and restaurants it is a great place to visit. 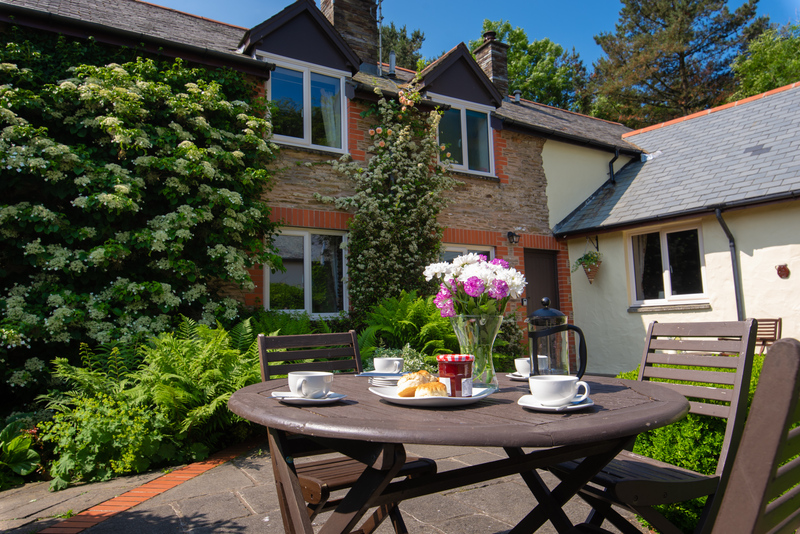 Also, within a short drive of the cottages are several of North Devon’s well-known attractions, including its award-winning beaches, Exmoor National Park and the South West Coast Path. There really is something for everyone with family friendly outings available at Exmoor Zoo, Combe Martin Wildlife and Dinosaur Park and Watermouth Castle; or for something a little different why not visit Dartington Crystal or Broomhill Sculpture Gardens. Discover a fantastic choice of local cafes and restaurants, serving excellent food with only the best locally-sourced ingredients. No matter what time of year you stay, North Devon has something to offer all its visitors, from its beaches to Exmoor National Park. Within easy reach of Wheel Farm there are several attractions to suit all ages of children, even if the weather’s not sunny! Booking your holiday or weekend break at Wheel Farm Cottages could not be easier. We offer a convenient online booking system, which guests can use to check availability, as well as book direct from the website. Alternatively, please contact us via email or on 01271 377 432 and we will be more than happy to assist you in setting up a booking or answering any questions you may have.